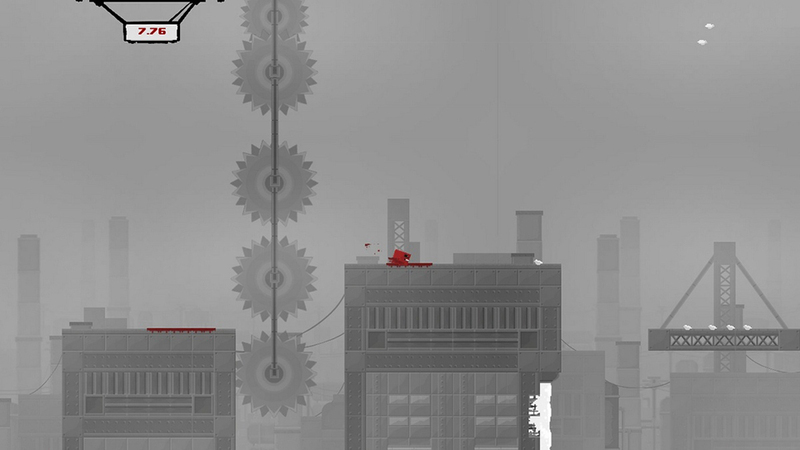 Super Meat Boy has been out for nearly two years, at the time of writing. So why am I only getting around to reviewing it now, and why even bother? I asked myself these same questions, and while I found difficulty in answering the first, the second part is simple; because Super Meat Boy deserves it. I recently watched Indie Game: The Movie, which is a documentary that chronicles three independent game developers. One of them being Team Meat; the duo behind Super Meat Boy. Also covered in the film, are Braid and Fez, which I already own and have spent a considerable amount of time playing. After seeing what these developers had gone through to ship their games, I felt like I owed it to them to at least try their games. So I promptly downloaded the trial for SMB, which resulted in an immediate purchase after completing the demo levels. 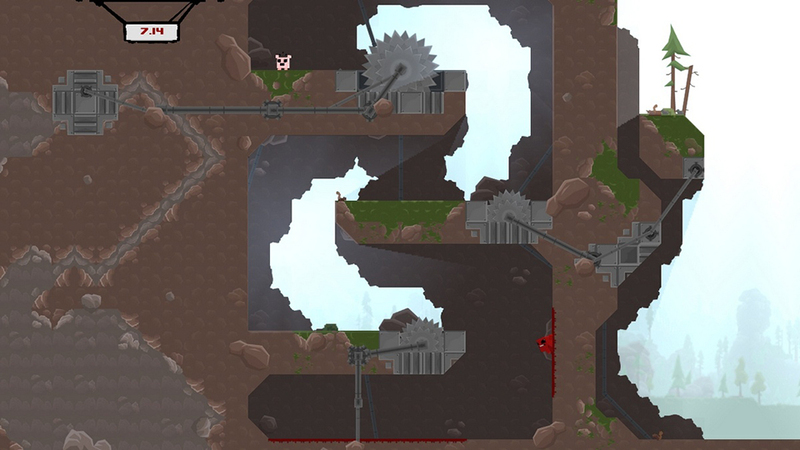 Super Meat Boy is catered to gamers like myself, who grew up playing video games in the late 80s – early 90s. It’s a throwback in its entirety, and feels extremely genuine. From the pixel art, to the music, and the references to popular games from the golden era that only someone who lived it would appreciated. It has won me over, time and time again. This is one of the early levels, and it’s quite simple. Things get much, much more difficult. Mind you, with these moments of sheer joy, have come moments of intense frustration. Super Meat Boy is hard! It may not make you start from the very beginning once you’ve used up all your lives (there are no lives, BTW), it does make you restart the level, which can be excruciating enough. Levels range from a few seconds, to at most 30. But you can easily spend 10, 20, 30 minutes on a single level, once you get a few worlds deep. Each level has a par time, and achieving it awards you an A+, and access to the even more difficult variation in the dark world. The premise is simple; get from point A to point B, while running, jumping, wall-jumping, and sliding on surfaces. Sounds simple enough, right? Don’t be fooled! As I stated earlier, SMB is one tough game. Here’s a nice little nod to Canabalt. There are collectable bandages in most levels, which often seem impossible to obtain, as you have to complete the level once a bandage is collected in order to keep it. Bandages unlock playable characters, and there must be 20 in total. Each with different abilities from Meat Boy’s, but all equally vulnerable. As I write this, I only have a few of them unlocked, and I doubt I’ll end up with much more. Typically, I wait until I’ve completed a game to review it, but I seriously doubt I will ever complete every level SMB has to offer. It’s that hard! 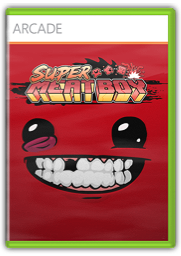 Super Meat Boy isn’t for everyone, but I’d recommend gamers of my generation stop what they’re doing, and give the trial a shot. If nothing else, it will warm your heart with its charm, then enrage you with its difficulty. It’s a game I love to hate, and while things haven’t gotten to the point of maddening difficulty, I’m not done with it yet.